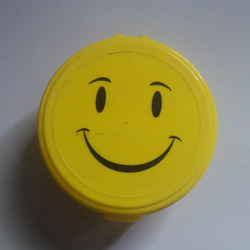 Our product range includes a wide range of lunch box apple, chocolate lunch box, strawberry lunch box, smiley lunch box, hot and cold lunch box and plastic lunch box. To meet the diverse requirements of our valued clients, we are engaged in trading, importing and supplying an excellent range of Lunch Box Apple. 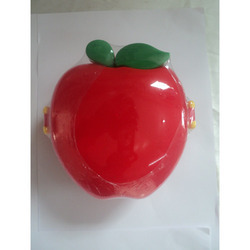 This lunch box is of apple shaped & design & developed with by using amazing quality of material. 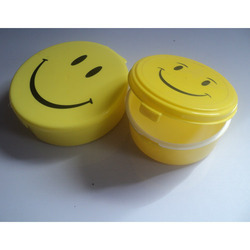 The offered lunch boxes are tested on diverse parameters for assure its quality accordingly with the international standards. . Apart from this, these lunch boxes are provided in various specifications to suit the mood of different customers. 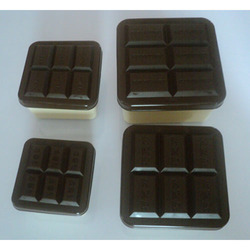 With enriched industrial experience and knowledge, we are providing with a wide range of Chocolate Lunch Box. It is of chocolate shape cover & developed from finest quality material, this lunch box is renowned for its vast color combinations & durability. 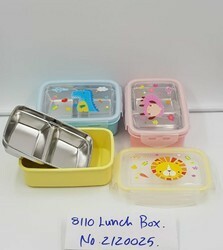 The offered lunch box finds extensive demand among children. Along with this, this lunch box is tested for assuring its quality after that we sent this for delivery. 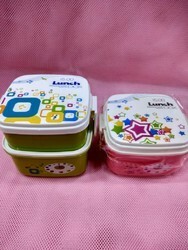 Having its amazing quality, this lunch box is offered at affordable rates to the clients. Due to our honest production standards and translucent deals, we are steadily making our way to the platform of success by offering a superior grade range of Strawberry Lunch Box. 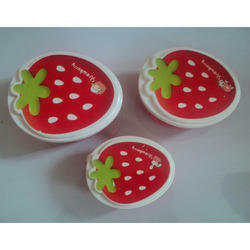 This is design to strawberry shaped by using excellent quality material to set new benchmarks in the industry that’s why our lunch box is highly demanded among our customers. We completely test our lunch box for reassuring its quality from our end. Apart from this, the offered lunch box could be availed in diverse range & colors which suited the needs of our customers. Looking for Lunch Box ?